This is a guest post from Christina Brown, former author of Northern Cheapskate, a frugal living blog dedicated to freebies, coupons and money-saving ideas. Christina writes from the woods of northern Minnesota, where she clips coupons, pinches pennies, and chases three boys as a stay-at-home mom. I’m an avid coupon clipper, but you’ll never see me on Extreme Couponing. I’m not interested in walking into a store and walking out with 70 containers of free mustard because I know that no one needs that much mustard, even if it is free. I am interested in stretching my grocery and household budgets, and my coupon clipping habits have allowed me to do that. 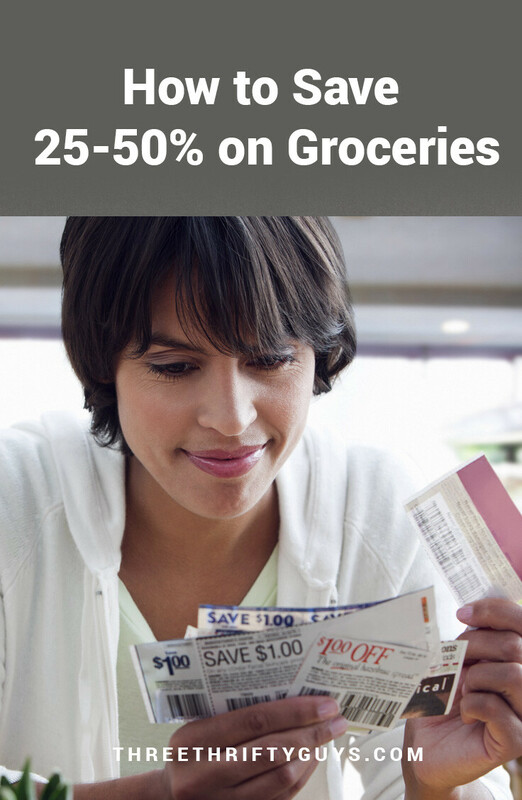 I easily save 25 to 50% on my shopping trips by using coupons to save money on things my family needs. 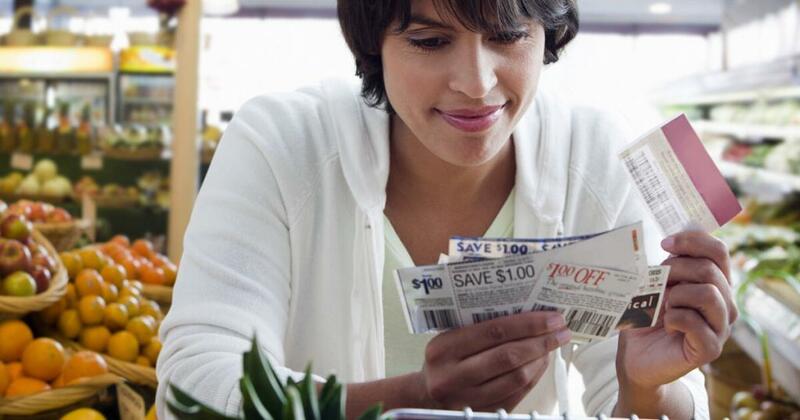 It’s simple enough to get started saving with coupons. The first thing you want to do is build your collection of coupons. Buy the Sunday paper or get a friend or relative to give you their coupon inserts from their newspaper. Print coupons with your computer from reputable places like Coupons.com, SmartSource.com, and RedPlum.com. Watch for coupons in stores, with your receipts, attached to packages or inside the packages. These coupons are usually manufacturer coupons, produced by the companies that make the products. Many retailers have their own coupons, too. They’ll be clearly marked with “store coupon” on them and can be found in newspaper circulars or online at their store websites. These store coupons can be paired with a manufacturer coupon to save you even more money. Just this week, I stacked a manufacturer coupon for $1.25 off Alexia products with a printable Target store coupon for $1 off Alexia potato product to get a $3.09 bag of Alexia Sweet Potato Fries for just 84 cents. Combining store and manufacturer coupons is a great way to get products for free or cheap. Once you’ve acquired a good collection of coupons, make your shopping list, and check the store circulars. Your goal is to match store coupons and manufacturer coupons with a store sale to get rock bottom prices. There are many blogs and websites that do all of the coupon match-ups for you (just do a Google search). I especially like AFullCup.com and HotCouponWorld.com. Their forums are excellent and their shopping lists are extremely helpful. You’ll be able to get much better deals if you are willing to try different stores and new brands. If for some reason, you don’t have coupons for a product you need, consider buying the store brand to save money. Many of the store brand products are just as good as the name brand products (some are better), and they cost a lot less. In addition, most store brands come with money-back guarantees. Learn to figure out how much products cost per pound, per item, or per ounce, etc. Usually you save more by buying in bulk, but not always. Sometimes if you have a coupon that says $1 off any item with no exclusions, you’ll find you can get the smallest size for free or nearly free. Get to know the coupon policies of your favorite stores and follow them. Be friendly to the cashiers and don’t hesitate to ask to speak to a manager for clarification if a coupon is rejected. You aren’t saving money if you’re buying things you don’t need. And don’t clear a shelf of all of it’s product, just because you have the coupons to do it for free. Save some deals for other people. Dedicate those coupon savings to a vacation fund, paying off debt, or saving for a new gadget. When you have a goal for the money you save with coupons, you’ll be much more motivated to hunt for deals. Saving money with coupons does take time, but I love that I’m able to use the money I save on groceries for other things. I spend about an hour a week clipping coupons and planning my shopping trips, and for that, I get a pantry full of affordable food and household goods, and the freedom to do what I want with the rest of my money. How do you save with coupons? Wait, who wouldn’t want 70 containers of mustard?? I think one of the most important thing to look at (as you mentioned) is the unit cost. It would make sense that the “larger” volume item should be discounted more, but that’s not always the case. I agree that paying attention to unit cost is one of the best ways to save on groceries. You want to make sure you’re getting the best value for your dollar, and this is the best way I can think of to do it. People often assume that bigger sizes mean better deals. But as you say, this isn’t always the case. You’re right Ryan. This is something I’ve noticed more and more stores doing too.. which is really helpful.